From quality you know, and a brand you trust, this custom long sleeve tee is your essential piece for all your branding needs from coach of the year, to business casual workplaces, and on the go lifestyles. Put your logo in it. 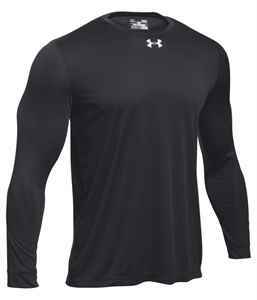 Made from 100% polyester, built with UA Tech fabric that is quick drying, ultra soft and has more of a natural feel. Included four way stretch fabrication allows for more mobility in any direction and ultimate comfort throughout the day. With a more relaxed fit, this custom long sleeve tee has updated set in sleeves, moisture wicking system and anti odour technology. UA logo featured on top front chest and back neck.